StackLead pulls together all of the research you need to prioritize and nurture leads. 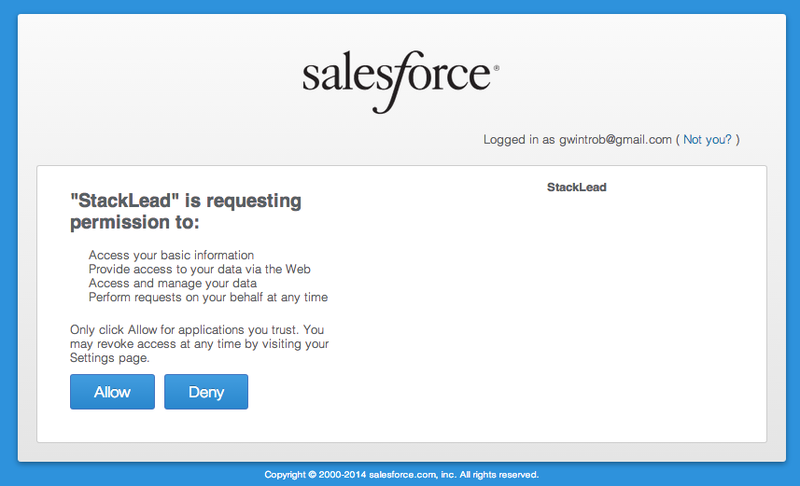 If your sales team lives in Salesforce, it’s easy to integrate StackLead to improve your lead qualification process. Sales reps using StackLead save 2-5 minutes per lead and use our research to only contact the highest-value prospects. If you’re interested in our automated lead analysis (e.g. number of employees and fundraising details) in your Salesforce installation, please reach out at team@stacklead.com. Salesforce Enterprise edition and up includes API access. With Professional edition, you’ll need to contact your Salesforce account executive and purchase the API add-on. If you’re not on the Enterprise edition or higher, there’s a bit of extra setup because the API cannot modify the fields on your leads. 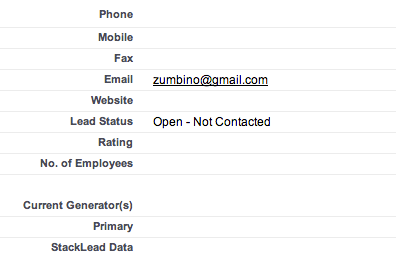 First, create the StackLead Data field for your leads. Click Setup, and then go to Build > Customize > Leads > Fields. At the bottom of the setup page (by Lead Custom Fields & Relationships), click New. Create a Text Area (Long) field. Set the Field Label to “StackLead Data” and Field Name to “StackLeadData” (note that there’s no space). Set the # Visible Lines, which controls the amount of research data we can display for your leads, to 10. Depending on how salesforce is configured, you will likely need to add the StackLead Data to the Lead page layout. First, make the new StackLead data field visible. Go to Build > Customize > Leads > Page Layouts. Click Edit and drag the StackLead Data field anywhere on the page layout. but with the leading na15 replaced with your Salesforce server. 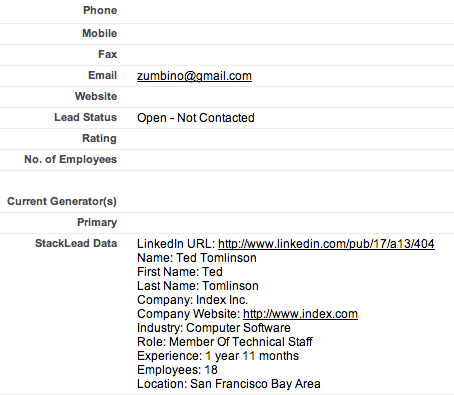 At this URL, you can see the StackLead Data field under “Lead Custom Fields & Relationships”. Click on the field, then click on “Set Field-Level Security”. Select the “Visible” box to make the field visible to all users and then click Save. Go back to the StackLead settings page and click Research Leads. We’ll automatically add our research data to your most recent lead. In just 5 steps, you can have customer intelligence data inside your Salesforce installation. Please reach us at team@stacklead.com with any questions. does it have to create a new field and dump all the data into there? can it not update the existing fields like name etc? Hey Jack. Thanks for the feedback. Our customers preferred having a separate field that we could modify freely in case other data sources or manual input was updating the default fields. If you’re interested and would like a different Salesforce integration, I’d be happy to discuss further and you can reach me at gordon [at] stacklead.com.